Angie’s List Super Service Award winners three years in a row. Acknowledged in Ranking Arizona’s Top 10. Over 1,000 FIVE-star reviews on Angie’s List, BBB, Facebook, Google, Yelp and others. An A+ rating with BBB. These are only some of the accolades and recognition earned by locals Tyler & Travis Ringe, owners of ProSkill Plumbing, Heating & Air. In addition to the superior work and integrity at ProSkill, clients love the fact that they typically don’t pay service charges (Service charges are assessed on Sundays and after hours only). Customers also enjoy the comfort of knowing when their assigned technician has been dispatched. They receive a text message saying the tech is on the way with a photo to identify him. 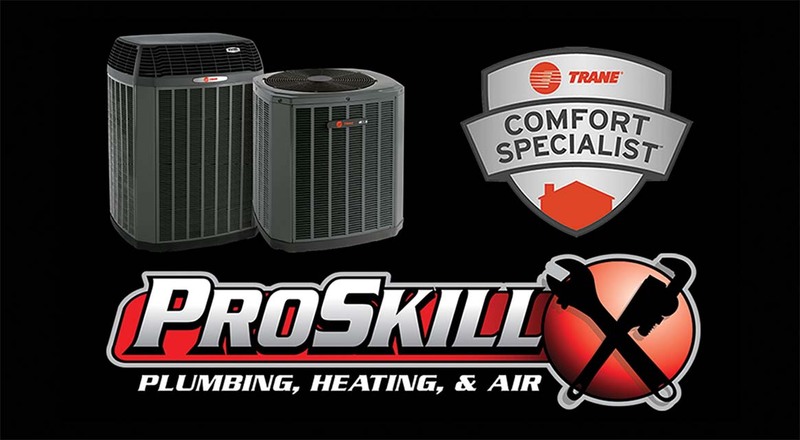 If your water heater leaks, you want to replace your aged AC system with a new Trane comfort system or just need regular maintenance, ProSkill can help, plus they strive to save clients cash with their Members Club. Anyone can join the Members Club by simply enrolling in an annual maintenance agreement. Travis explained, “Our members are given priority and they pay nothing more than a customer calling for the first time to enjoy all of the member benefits. The program simply builds loyalty between us and our valued customers.” Members also receive 5 percent repair discounts, up to 10 percent discounts on new equipment (including AC, water treatment, water heating systems), no diagnostic fees, priority booking and more. See additional Members Club options at www.ProSkillServices.com. The Ringes want to thank current customers for their patronage and invite their neighbors to experience the service that ProSkill is known for. Call 480-757-5722 for information or an appointment.